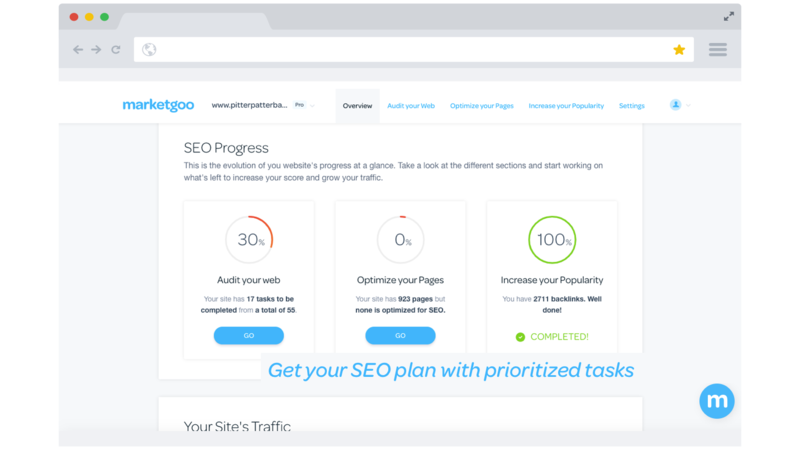 MarketGoo is the easiest app to improve your website traffic and position in search engines, with easy-to-follow tasks and simple analytics. 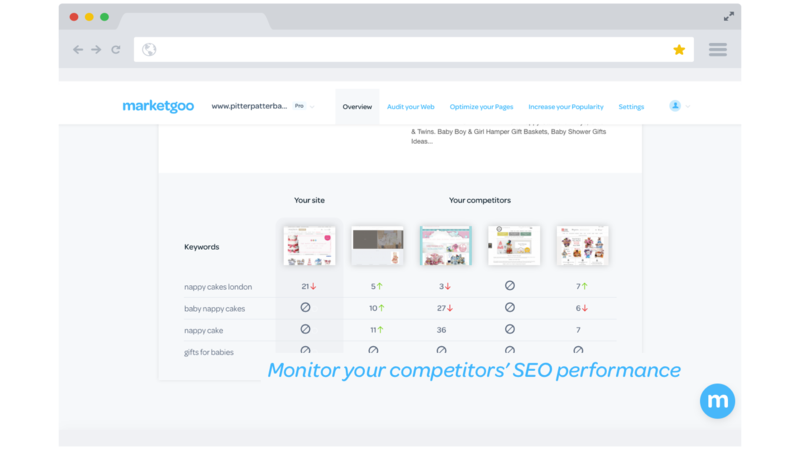 Check your FREE SEO report now with MarketGoo Basic, to increase your site's visibility and grow your business! Your site submitted to Google, Bing & Yahoo! Priority Support through e-mail, livechat and scheduled calls. Hi Bonnie! Thanks for your feedback! But we don't see that you have signed up with our PRO subscription. Anyone who's into SEO would know that it always takes time to see changes especially in highly competitive keywords and websites so, it is wise to see and compare results after few months say 2-6 months. If you have registered an account with us, our success team would like to reach out to you and see how we can add value to your business or contact support@marketgoo.com we are more than happy to answer any questions you may have! Thank you! Report is generic and solutions are not detailed enough to actually fix the problems it says your site has. For example, the recommended fix for 'site doesn't get much traffic' is 'get more traffic to the site'. Another frustration is that this is recommended by/included with weebly, but several reported issues are ones that are problems with weebly coding--not ones most users can fix on their own (one of the supposed benefits of using the site). Report should work more in parallel with the program, and provide actual solutions. Hi karath, We agree with Weebly issue, and we are working with Weebly to make this possible for them to change the recommendation we provide, but note that this is a limitation of Weebly and not our product as we detect this. 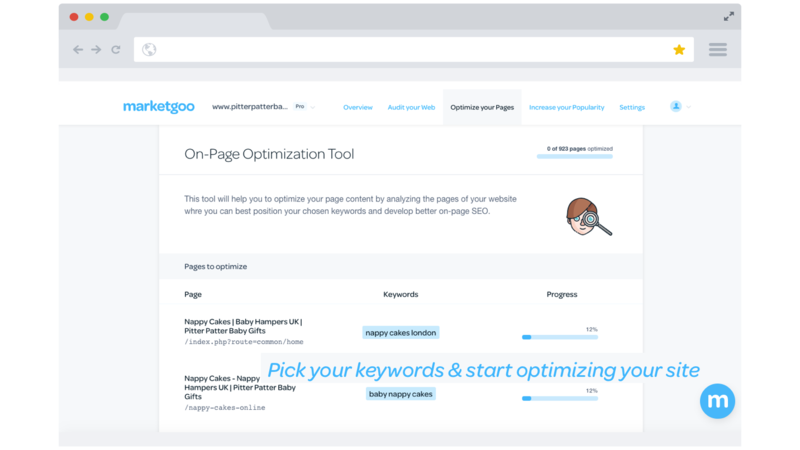 We give users the choice on how you would get your links, we could imagine an 19.95$ subscription being able to provide everything what a SEO agency offers for 10x the price is something we will look forward to have in the future. Our success team would like to reach out please contact support@marketgoo.com, thanks! Hi Teana! Thanks for your feedback! 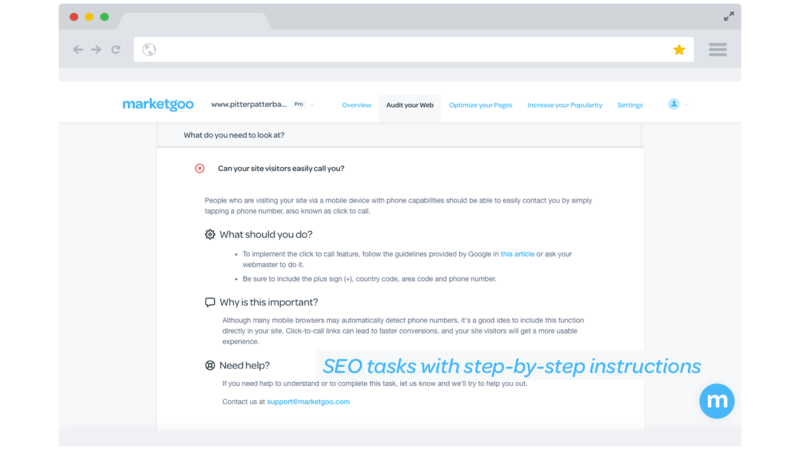 However, since MarketGoo is a Do-It-Yourself tool, we wonder if your expectations is in line with how our product works. You can find out our complete documentation on how MarketGoo works here: https://bit.ly/2Pn5W8K If you have registered an account with us, our success team would like to reach out to you and see how we can add value to your business or contact support@marketgoo.com we are more than happy to answer any questions you may have! Thank you! This is not a very good app and not worth the money. Hi Rebekah! We appreciate the feedback, however, we didn't see that you have signed up with us. 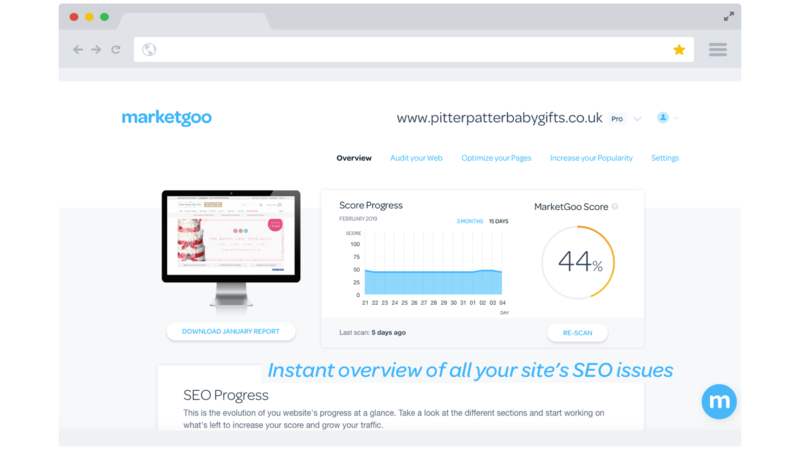 We guarantee that the PRO version is better than the free SEO report you have gathered and provides in-depth analysis of your website. Let us know if you are interested and our support team would reach out to you as soon as possible! Good day! highly inaccurate info. Told me to fix 97 photos with height and weight attributes but i only have 33 photos on my site and weebly says we have no control over that. 24 seconds to load... it's never taken more than three seconds to load and my google search rating was way off. Hi Michael, I believe you are referring to the Free SEO report that was generated when you linked the app to your account. For this, the app can only scan the first 50 pages of a website and produce the analytics from there. A more comprehensive report will be generated once your account is upgraded to PRO hence, the discrepancies. If you are interested still, kindly let us know and we will have one of our support team reach out to you as soon as possible or you can write to us directly at support@marketgoo.com. Thank you for the feedback! Hi Mike, You're welcome! we appreciate the ratings you gave us! We hope to see you soon! Thank you! We will definitely keep that in mind with extending support for multiple languages. we appreciate your feedback a lot! thank you so much! Une grande aide pour une application gratuite! J'aimerais essayer, mais il est un peu cher mais j'aime le rapport!